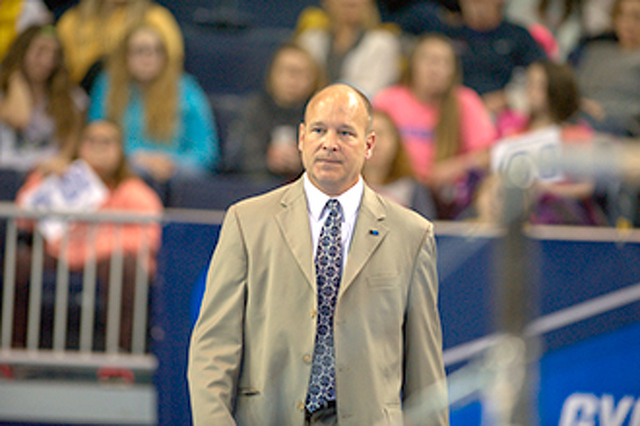 Penn State women’s gymnastics head coach Jeff Thompson — whose tenure had been mired in controversy — has been relieved of his duties, athletic director Sandy Barbour said in a press release. Thompson was in his seventh season as head coach. Assistants Kera Molinaro and Josh Nilson will fill the vacant role on an interim basis as a national search for a permanent replacement is conducted. Thompson’s wife Rachelle resigned from her position as associate head coach last summer amid allegations of emotional abuse. Former gymnasts claimed that the Thompsons created a hostile team environment by pressuring athletes to train through injuries and lose as much weight as possible and use of bullying tactics. The entire team reportedly complained to a university administrator at one point about the alleged negative environment created by the Thompsons. A former gymnast said the Thompsons pressed her to answer questions about her boyfriend and screamed at her for slowing down during an injury. Others reported being ridiculed for their weight and being asked intrusive questions. Former assistant coach Samantha Brown, who was terminated in January 2016, said that administrators failed to address concerns brought forward by her and athletes. The university had no further comment on Jeff Thompson's firing. A State College massage therapist is facing multiple charges after allegedly assaulting a woman during a massage.